As it has taken an extra ordinary amount of time for LSB to move forward a predicament has developed for many distributions, including openSUSE. Many of the requirements for LSB 4.1 can no longer be met and thus while the lsb package still builds it is not installable, see . The technically correct solution would be to drop the lsb package from the distribution, Factory now and thus 13.2 when it is released) as we can no longer be LSB compliant. However, the negative side effect is that some applications we do not and cannot package will no longer install, probably most notably google-chrome. Thus, having no lsb package, or no package that provides “lsb”, is a problem and has negative effects on many users. Therefore, the only way forward is to have an “lsb” package which provides LSB on a best effort basis. Since LSB 4.1 and previous releases is a monolithic requirement, i.e. if you depend on lsb you depend/get everything that is in the standard, whether you want it or not, it is very likely that many applications depend on lsb while needing only a subset of the features. Thus, while we do not know all of those applications and cannot provide a list of “this will work and that will not“, there is a good chance that many external packages depending on lsb will not only install, but the payload they deliver will work with an lsb best effort approach. For those applications that are broken there is pretty much nothing we can do, sorry. At a meeting last week at LinuxCon NA the goal was set to have LSB 5.0 released by the end of October. LSB 5.0 is incompatible with LSB 4.1 and prior releases. Thus, even if we provide an lsb 5.0 compliant package in short order after LSB 5.0 is released we still have the same risk as we do with the best effort approach. Basically some application packages that depend on “lsb” will deliver a payload that is broken. Exactly the opposite of what the LSB is trying to achieve, but hey one cannot hang on to Qt3 forever. Therefore, our “lsb best effort” approach to cover the gap does not create any additional pain. Moving forward the LSB working group decided that the current approach, while providing value, has significant drawbacks. Predominantly there are not enough fingers on the keyboard to continue releases of such extensive “accepted standard” documentation. This is what we presently experience with the non installable lsb package. A for the LSB is being worked out. As this next/new LSB develops we will have to see how application providers deal with this. Without a formal LSB specification in the future, this problem will recur in a few years if application packages depend on a package named “lsb” which at some point may need to seize to exist. We will see how this plays out as the world we create keeps evolving. 2 Weeks ago myself and Françoise had joined the [http://www.randa-meetings.ch/ Randa Meeting] in Switzerland. 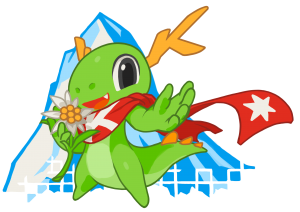 This year, we decided not only to financially sponsor the event, but also be part of as simple helper, with the status of newcomers in the KDE community contributors. Just to check how it goes. Mario Fux (the organizer) didn’t fake his involvement to make this week a success, in a full open source spirit. We’re reporting below a number of blog post that have been made during the hackweek. And as the icing on the cake, you could just watch the video realized during the week. Fosdem now invite proposals for main track presentations and developer rooms. FOSDEM offers open source developers a place to meet, share ideas and collaborate. Renowned for being highly developer-oriented, the event brings together some 5000+ geeks from all over the world. The fifteenth edition will take place on Saturday 31 January and Sunday 1 February 2015 at the usual location: ULB Campus Solbosch in Brussels. Previous editions have featured tracks centered around security, operating system development, community building, and many other topics. Presentations are expected to be 50 minutes long and should cater to a varied technical audience. The conference covers travel expenses and arranges accommodation for accepted main track speakers. Developer rooms are assigned to self-organizing groups to work together on open source projects, to discuss topics relevant to a broader subset of the community, etc. Content may be scheduled in any format, subject to approval. Popular formats include presentation tracks, hacking sessions and panel discussions. Proposals involving collaboration across project or domain boundaries are strongly encouraged. Developer room proposals should be emailed to devrooms@fosdem.org and be as detailed as possible. In particular, coordinators should indicate their affinity with the topic being proposed and provide a rough idea of the content they plan to schedule.